Born in Coleraine, N.Ireland Brown graduated from the University of Ulster with a B.A Hons in Fine Craft Design in 1995. 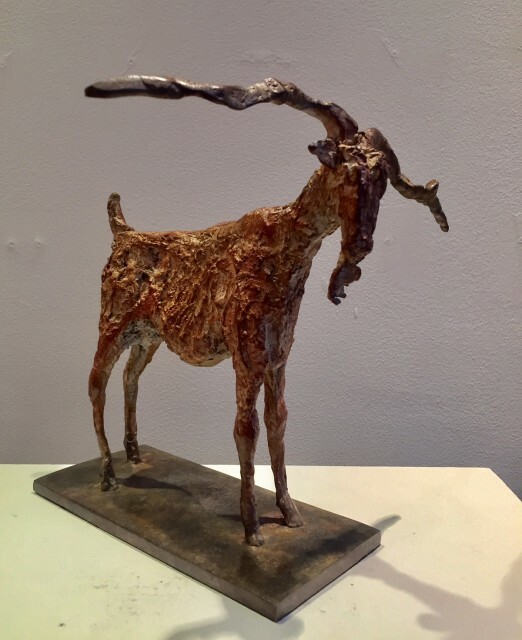 Influenced by cave painting and early primitive sculpture Brown works by first creating drawings on which she bases her sculpture using wax and materials such as cloth and twigs to create texture before the works are cast in bronze. Brown has exhibited widely in the UK and Ireland with works included in both public and private collections such as the State Art Collection, Dublin Airport Authority and Chapter One Restaurant, Dublin. In 2007 and 2009 Brown received the award for best bronze sculpture at the Royal Ulster Academy.